Ful medames is Egypt’s number one national dish. 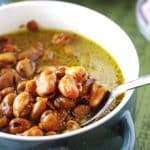 It is a hearty filling and so versatile dish made with fava bean. Mash it for an unforgettable dip or eat it as is. Ful medames is usually made totally vegan, but you can mix it with so many varieties for a hearty dip or a complete meal. Great for breakfast/lunch or brunch. Feeds a crowd and so frugal that’s why it is so puplar in Egypt and all over the region. Here is an easy slow cooker ful medames recipe with some serving suggestions. Ful medames is is a staple all over the Middle East. 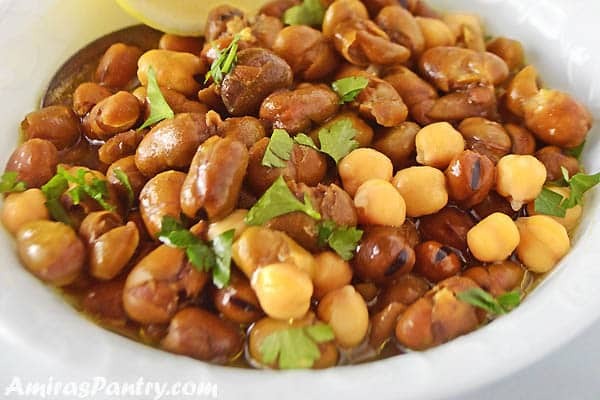 Nobody knows for sure when was this dried beans recipe invented, it is possibly as old as Egypt itself!. Egyptian ful medames has been eaten by generations and generations and everyone has his/her own preferable add-ons. Foul medames is eaten throughout the year and even throughout the day. Especially in weekends, that starts on Thursday nights in the Middle East, and it is almost always there for breakfast on Friday mornings. I love serving it for my little family as breakfast for dinner or meatless dinner. Foul or Ful is a also a very popular during the holy month of Ramadan, as it is filling and packed full with protein. Foul medames is usually sold by street vendors, so if you are walking by a closed ful shop at night, you’ll smell the beans cooking . 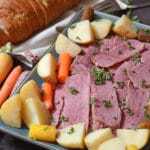 Ful is usually slow cooked in a special pot called “edra”. Commercial ones are much bigger. It is used to slowly cook the beans overnight so in the morning you’ll have the freshly cooked light colored beans of your own. Because we cannot easily find these pots here, you can use a slow cooker instead. Some people make foul in the pressure cooker too. If you do not have either, you can definitely use a normal pot over low heat but keep watching for the water level. Ful mudammas is sort of slow cooked dry fava beans. It is a real power legume in the Middle East especially Egypt. Ful is the main breakfast dish in Egypt along with falafel. Personally, I feel ful is a very healthy protein packed meal, add to it some tomto, garlic and olive oil and it is heavenly good. Experts recommend that you consume up to 3 cups of beans weekly. What is a typical Egyptian breakfast? Well, we have a lot on our breakfast table. Ful and falafel are the king and queen of breakfast. Halva fudge, egg casserole(s). date paste with eggs,.. and much more. How to make ful medames: step by step guide. Easier than you think, tastier than it looks, this ful medames is a healthy, filling dish that can be adapted to various palates. Wash the fava beans thoroughly, pick any debris or deformed ones and throw them away. soak the beans over night with cold water. 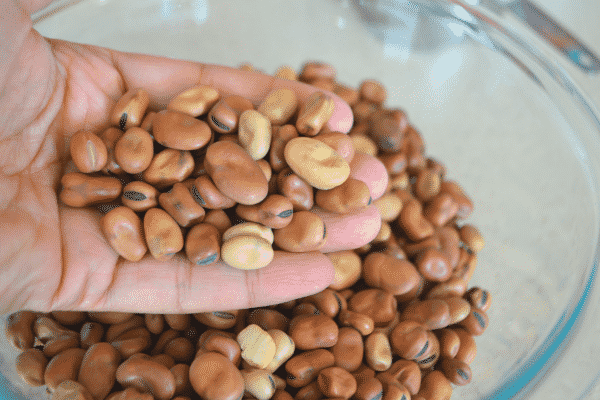 You may want to add a teaspoon of baking soda to the soaking water, this is an old grandma tip especially for gassy people and those who find it hard to digest beans. Change the water once or twice if you can. 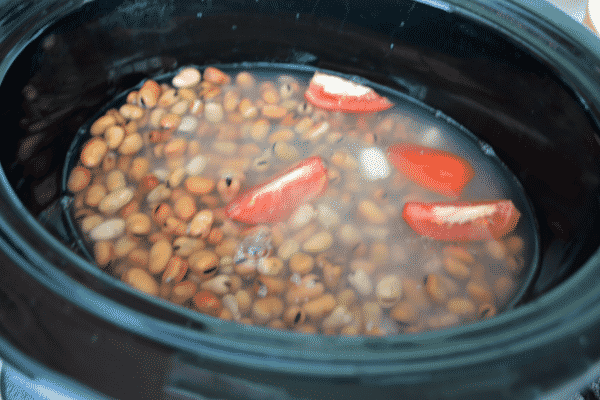 Rinse and drain beans then place in your slow cooker. Add the rest of the ingredients, cover with water and set on low for 8 hours. You can check your beans starting 6 hours as beans cooking time if different. After beans are done, prepare multiple dishes they way you want as stated below. 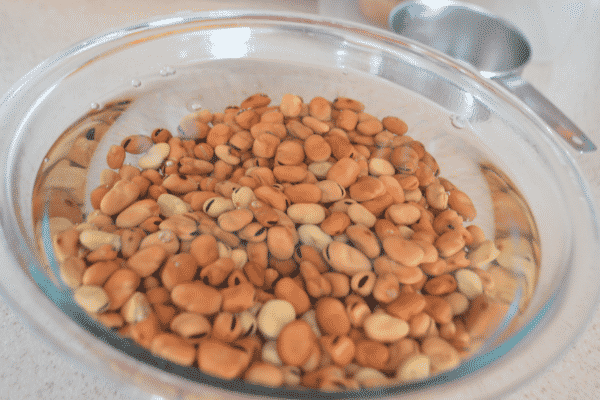 Meanwhile you can portion beans and freeze with its water for up to 4 months. 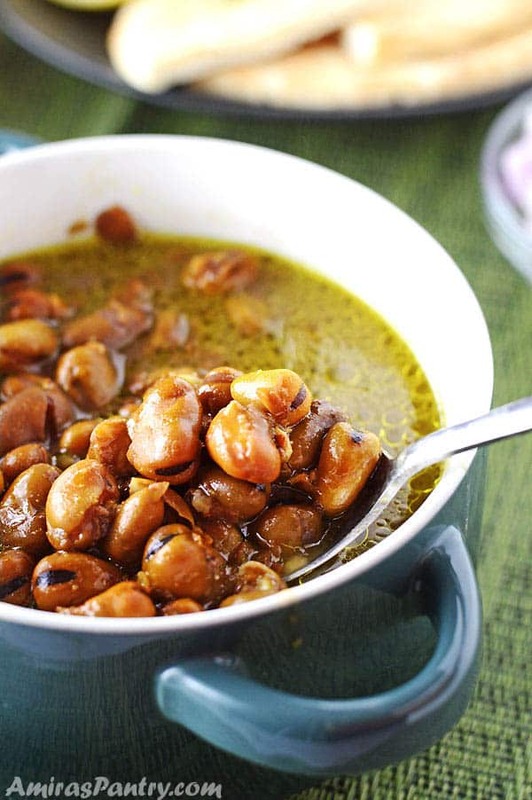 If you cannot find fava beans you can use pinto beans as it is the closest in taste and size. 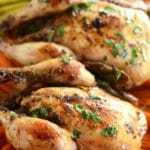 After cooking foul can be served in a variety of ways, the simplest is just to drizzle it with olive oil, salt, cumin and a squeeze of lemon juice. You can add garlic as well for more flavor. For a more carnivorous meal, serve it with sausages, tomato and onions. Think Kalamata olives and drizzle with olive oil, a dash of salt and cumin. 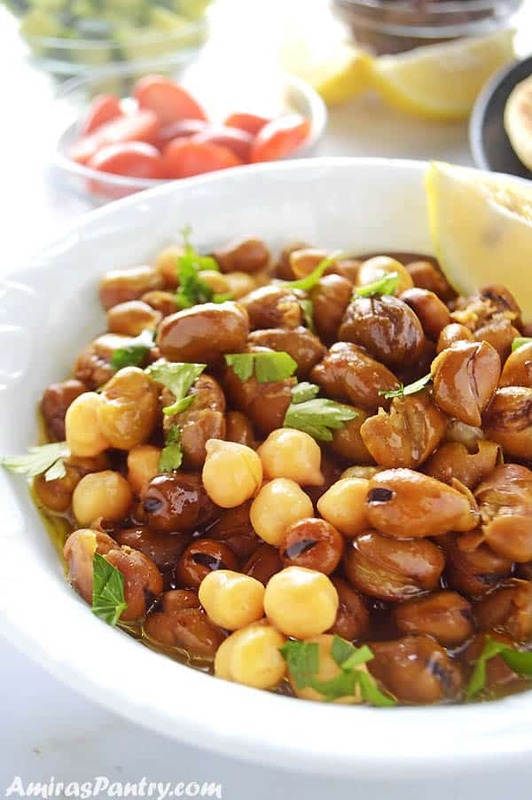 How about a can of chickpeas, cumin, salt and lemon juice. Some people love mashing it with ghee or butter as well. Mashing it with some hard boiled eggs, tomato, and parsley makes another hearty lunch. 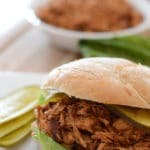 I love Hamilton Beach Slow Cooker. It has been with me for over 4 years now with no complaints at all. Ful medames is Egypt’s number one national dish. 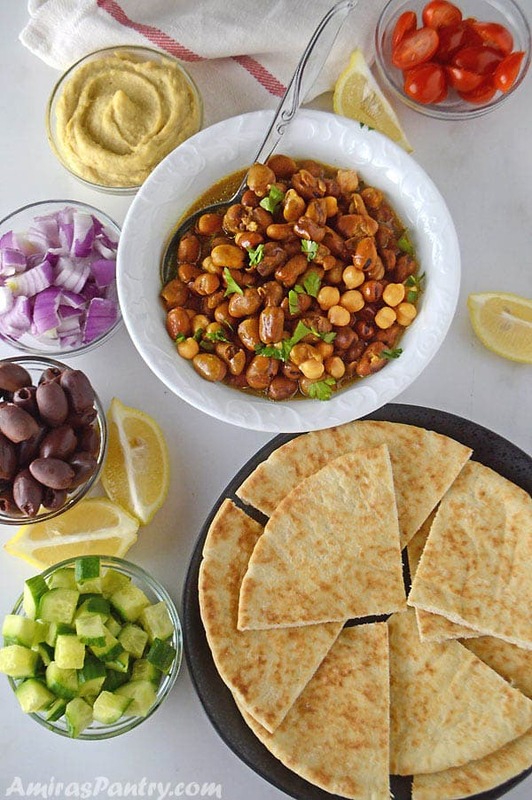 Here is an easy slow cooker ful medames recipe with some serving suggestions. 1 -12 oz- (340g) dry fava beans. 3 Tablespoons (35g) uncooked rice. 3 Tablespoons uncooked red lentils. 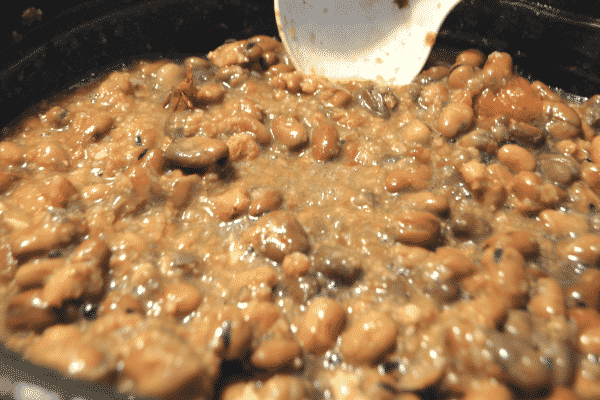 Drain beans and add to your slow cooker. Add all other ingredients then cover with boiled water. Let it cook on low for 7-8 hours or hight for 3 hours. Check the beans for doneness and water level every now and then. Note1: You can add a teaspoon of baking soda to the soaking water. This is a tip from the grannies to ease with digestion. Try to change water at least once during the soaking period. For people who have a problem eating beans because of the gas, I suggest adding 2 tsp of baking soda when soaking the beans. It will help get rid of the gas before they are cooked. And let the beans soak overnight. My husband loves foul but it doesn’t love him. When we add the baking soda while any type of beans are soaking it reduces the gas quite a bit. Aminah, my mom does that recently with any type of legumes indeed.Thanks for the note dear. I love your website. My queaction is concerning Ful medames in the slow cooker. I’m cooking for one. So can leftovers be frozen for later use? Aaron, you can for sure freeze them in portions, my mom always does that. I grew up (in Saudi) eating a lot of Ful, thanks for sharing this! Hi Sarah, this is a very common dish in the Middle East:). I have seen tinned versions of ful in the World Foods section of my local supermarket but I have never tried the dish before. It looks wonderful and hearty and I hope to make it soon in sha Allah! I would call this comfort food at it’s best! Looks delicious!